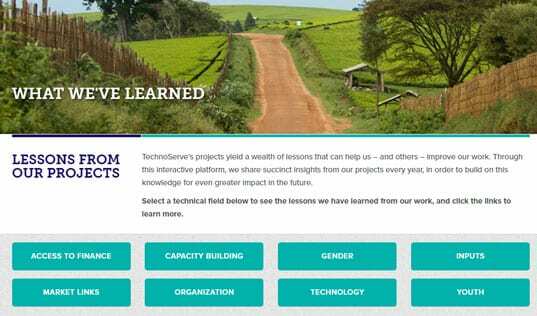 TechnoServe helped to show how a new way of working with the supply chain can unlock the potential of Ghana’s smallholder farmers. Across Ghana, market stalls brim with sacks, bowls and boxes of agricultural goods. Yet, surprisingly, many of these staple ingredients are imported from countries near and far, as domestic farmers are unable to meet demand. While more than half of Ghana’s labor force works in agriculture, Ghanaians consumed 290,000 metric tons of imported rice in 2008, and nearly as much imported maize. 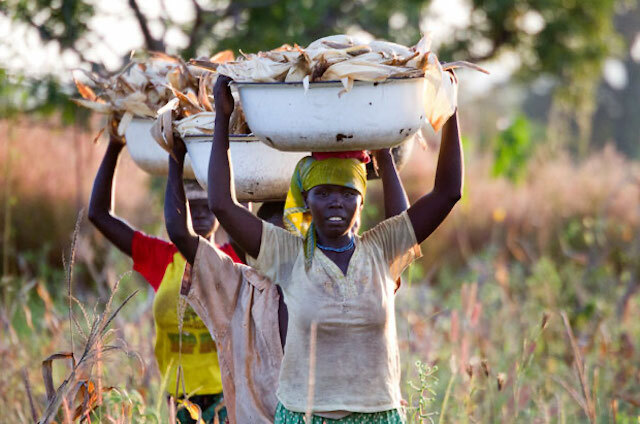 The inability of smallholder farmers to access necessary tools, services and capital is one reason for the country’s small harvests of vital grains and vegetables. 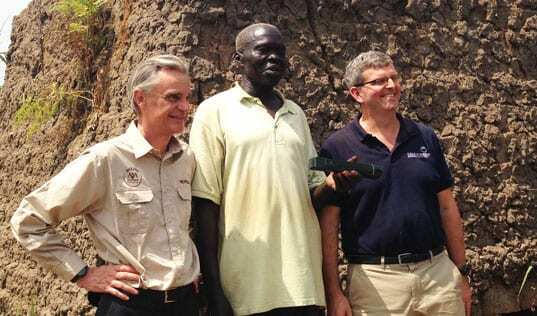 However, a recently completed project funded by the U.S. Agency for International Development (USAID) showed promising increases for the productivity and incomes of smallholder farmers growing three staple crops. The ADVANCE I Project, implemented by ACDI/VOCA, TechnoServe, Winrock International, ACDEP and PAB Consult as part of the Feed the Future initiative, worked with more than 34,000 producers in Ghana, with a particular emphasis on the northern half of the country. The initiative focused on empowering the private sector to deliver essential services to smallholder farmers growing rice, maize and soybeans. Ghanaian farmers more than tripled the average amount of rice they harvested after participating in the ADVANCE I project. In addition to facilitating agricultural training for family farmers, the project used an innovative model centered on “nucleus farmers”: farmers who own tractors and occasionally plow the smallholders’ fields. The project worked to improve these nucleus farmers’ access to credit, markets and inputs. At the same time, the project team mentored the nucleus farmers to provide a much larger range of agricultural services to smallholder farmers. 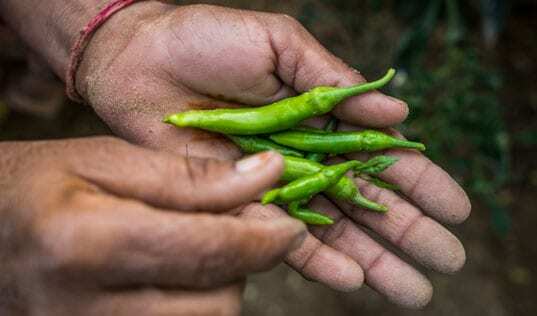 With the benefit of these services, the smallholder farmers could work more efficiently, while the nucleus farmers found a new source of income. Farmers received text messages with information about commodity prices, farming practices and the weather. Emerging mobile technology also played a significant role in project, bridging the often great distances of the Ghanaian countryside. Nearly 21,000 farmers received text messages with information about commodity prices, farming practices and the weather. In a follow-up study, 92 percent of the respondents found the messages useful. Meanwhile, more than 2,500 people in the supply chain, from smallholder farmers to fertilizer suppliers, signed up to send and receive mobile payments, paving the way for transactions large and small. The technical training, new business relationships and millions of dollars of private investment mobilized by the project had a tremendous impact on the lives of the smallholder and nucleus farmers who worked with ADVANCE I. According to the project’s final report, farmers more than tripled the average amount of rice they harvested per acre. Maize farmers saw their harvests grow dramatically, as did soybean farmers. The model developed during the project us being expanded in a second phase. 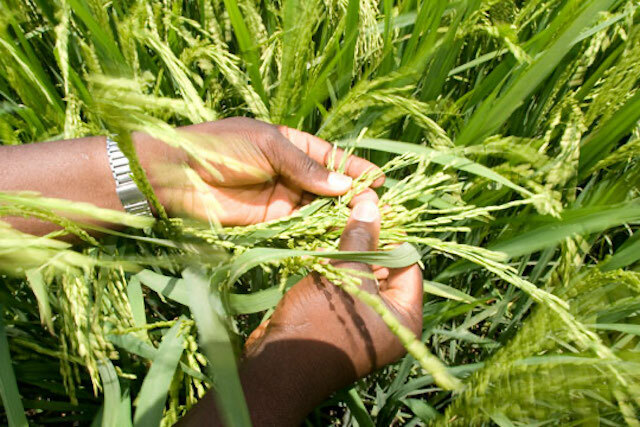 Already, however, the results of ADVANCE I point to a future in which Ghanaian farmers produce more of the crops that their fellow countrywomen and countrymen rely on.